Wagah Border is a point of international border between India and Pakistan on the Grand Trunk Road. It is the only legal road crossing point between India and Pakistan. Wagah Border is only about 3 kms from Attarri town. From Amritsar, Wagah Border is about 30 kilometers and takes 30-60 minutes to reach. 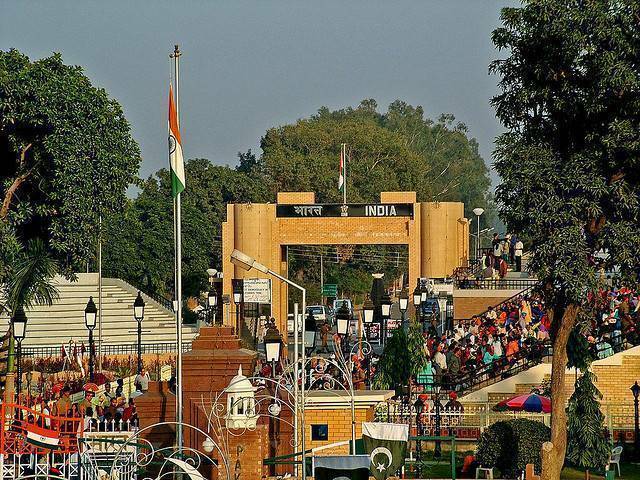 Wagah Border is famous for the Beating the Retreat or the Flag Ceremony held every evening which is the formal way of closing the border at sunset and lowering of national flags of both the countries. This Border Ceremony is performed by the Indian Border Security Force and Pakistan Rangers on their respective sides of the border. During the Border Ceremony, National Anthem is played followed by cheers and slogans of patriotism by the crowd. Formal Wagah Border retreat ceremony lasts about 45 minutes. Both sides synchronize their parade and the whole event creates a patriotic fervor among the crowd. Many foreigners visit the ceremony too. It is here you can simultaneously see the change of guards, of two different countries happen at the same time at very short distance apart. At dusk, people throng the road to witness this thirty minute “Beating the Retreat “ceremony. It starts with the opening of the iron Gate, a brisk ceremonial parade of the soldiers of both the countries and ends with a synchronized bringing down of the two flags. The guards then depart after a crisp handshake with soldiers across the gate. The Swarna Jayanthi Gate- the entry gate of the outpost beautifully frames some stunning views of the country ahead. There is no less excitement on the Pakistani side. From Lahore, Wagah border is about an hours’ drive. Against common misconception no tickets are needed to watch the beating retreat ceremony. Some restaurants near the border on Indian side serve meals and snacks. Best way to reach Wagah border is in private car or cab and via a Wagah bus from Amritsar. The Wagah Border Flag ceremony usually starts between 4.30 and 5pm. It is best that you reach the spot by 3.30pm to get a good place for seating. Border closing ceremony starts at 5:30 PM. Foreign tourists are advised to carry their passports. 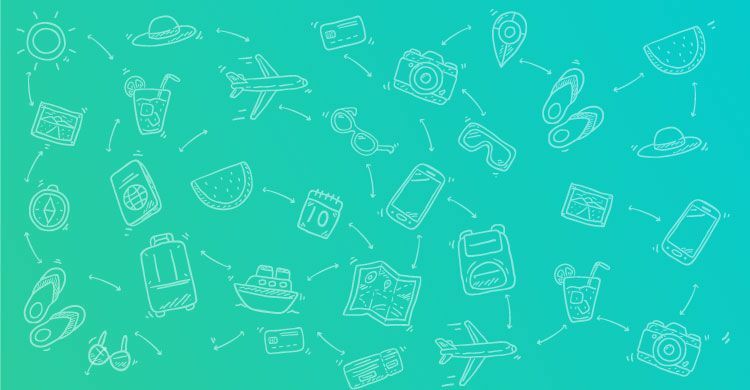 All cellular networks are jammed near the border, so you will not be able to use you mobile phone. You can still carry though.